At the heart of every vocal group is the music it performs. This often means writing its own arrangements of popular or traditional songs. This book is the long-awaited definitive work on the subject, wide ranging both in its scope and in its target audience - which spans beginners, music students, and community groups to professional and semi-professional performers, vocal/instrumental songwriters, composers, and producers - providing genre-specific insight on a cappella writng. The tone of the book is instructive and informative, yet conversational: it is intended to stand alongside any academic publication while remaining interesting and fun. Dubbed "the Father of Contemporary A Cappella" author Deke Sharon has firmly established himself as one of the leading vocal harmony talents today having arranged over 2,000 songs which are published worldwide. Deke was vocal producer on NBC's "The Sing-Off" and served as arranger, on-site music director and vocal producer for Universal's "Pitch Perfect" movie. 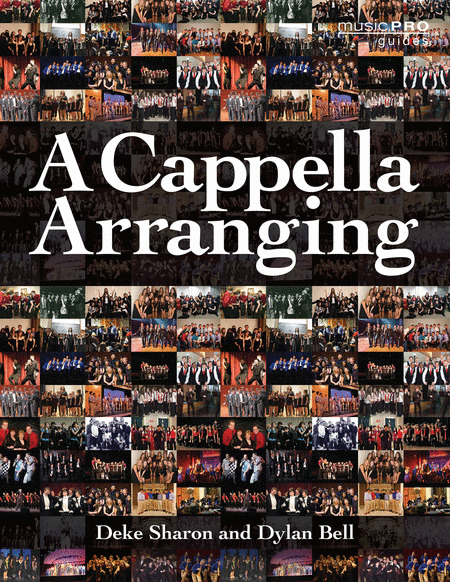 A Cappella Arranging is a good textbook - and a "good read" - for every vocal arranger, whether amateur or professional; every vocal music classroom, and any professional recording studio. We highly recommend this book.